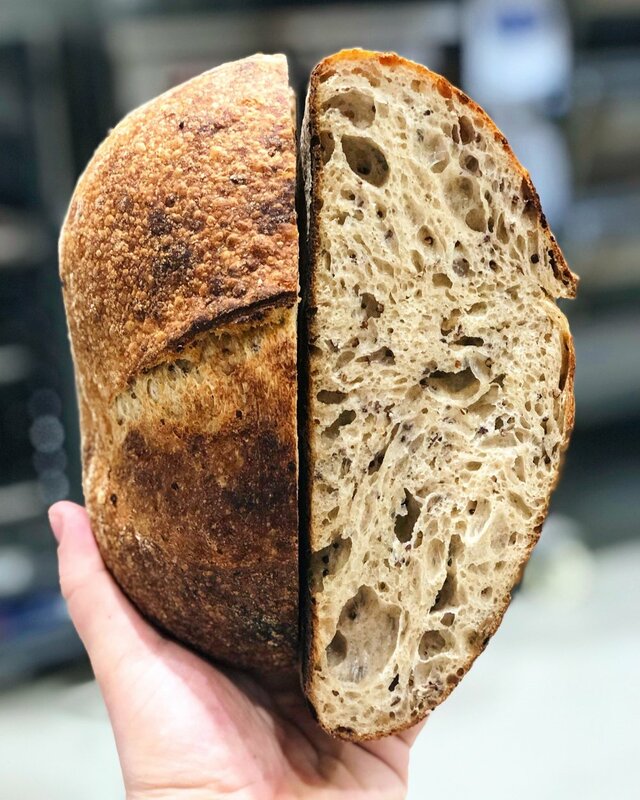 Handcrafted, naturally leavened breads and pastries. Utilizing carefully sourced ingredients, and mindful environmental practices. Using organic flours, seeds and grains for optimum quality and flavour profiles. We have partnered with “Flourist” in Vancouver to fulfill all of our wholegrain needs, milled fresh weekly. Check them out, they are seriously awesome. *Delivery fees applicable outside of Tofino. Complete form below to request wholesale pricing and consultation. Located in the 5 Acres of Awesome that is lower Industrial Way, we are lucky to be surrounded by an amazing group of small businesses. One lot up the hill from Tofino Brew Co. Beside Tofino Coffee Roasting Co. and Tofino Distillery. Across the Street from Pacific Charcuterie, Red Can Gourmet, and West Pacific Fish Store, there is plenty to eat, drink, and explore in this up and coming cultural hub of Tofino. Instagram is the best way to stay up to date. Give is a follow so you don’t miss a thing! Whether you are a business looking for more information on our wholesale program, or simply have questions about our range of products, feel free to give us a shout.